Christmas is a special time of year, one that includes wishes, hopes, dreams and presents. In Wheel Time’s thoughts are those of luxury SUVs. Here are a couple of all-new, high zoot rides that may not fit under the tree but will look awesome in the driveway. Any Jag gets your blood pumping but the all-new F Pace brings a special feeling of excitement to the brand’s first SUV. 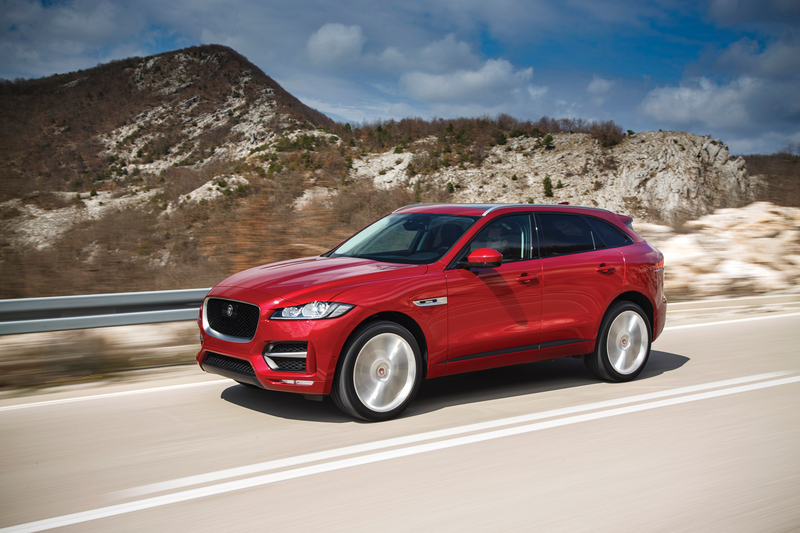 With its large, rectangular grill, high mounted headlamps and oversized brake cooling inlets, there is no mistaking this SUV for anything other than a Jaguar. Available tire and wheel combos add the custom touch you’re looking for. The interior is plush with big, bolstered seating up front and an intuitive dash layout. A cavernous storage area behind the second row of seats will swallow all the family Christmas presents and the tools to put them together. We like the optional 3-liter, supercharged V-6 with its 380-horsepower. That’s more than enough power to pull away from almost every other SUV on I-45. The smooth shifting 8-speed automatic transmission delivers the grunt to a full-time all-wheel drive system. This combo receives a rating of 18 MPG-city and 23-highway. Handling and ride quality are confidence-building characteristics, without the rough-and-tumble attitude of some others in this performance luxury class. 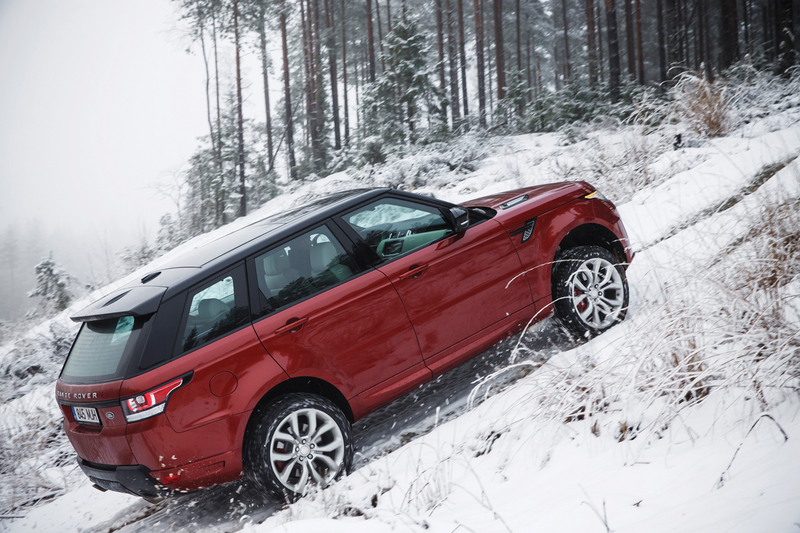 The Land Rover Range Rover Sport is the elite of off-road SUVs. And our guess is, one of the most underused vehicles for which it is designed. There is no mistaking this luxury sport-ute for anything other than a Land Rover. Its squared shoulders, exposed, faux, front and rear skid plates and overall conservative styling exudes a sense off-road agility in a slick, modern package. The Range Rover Sport has one of the most beautiful interiors known to man with rich leathers, adjustable everything and controls that make off-roading a breeze. Passengers get the same luxury treatment as pilot and co-pilot with plenty of room behind the second row to carry all the support gear for hunting and fishing in the outback. The Sport offers four engine choices but we highly recommend the 5-liter supercharged V-8 with 550 horsepower. We drove it and fell in love with it. Get it. And that adjustable air suspension will have you asking why it isn’t standard equipment on all vehicles.